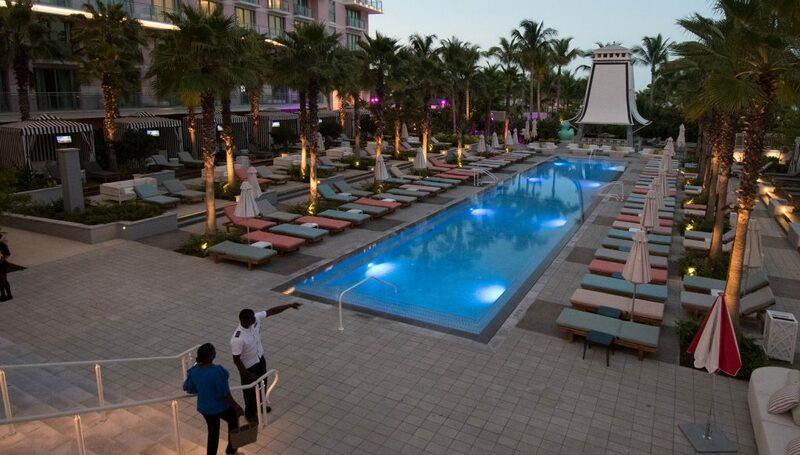 Outdoor spaces are a focal point of the Baha Mar Resort, with thirteen pools, a beautiful white sand beach, and a large number of patios, walkways and other areas, including the Fountains of Baha Mar and its spectacular light and video show. 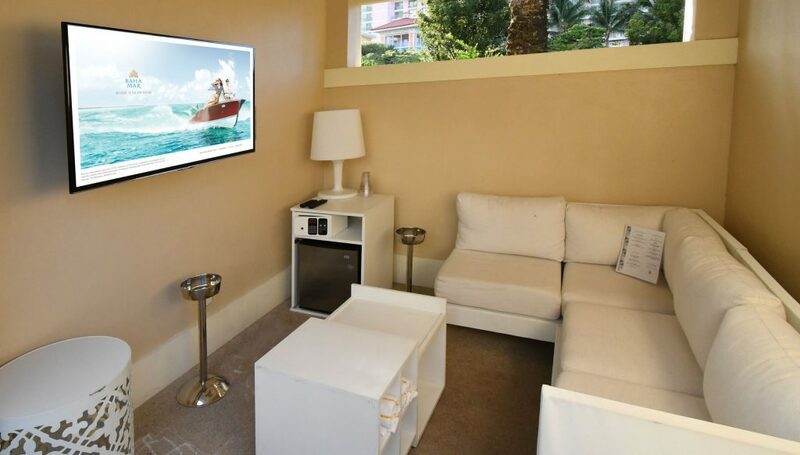 Think Simple installed all of the audio, video, and lighting control systems in the resort’s outdoor areas, using weatherproof speakers and inground subwoofers, and sealing all connections to withstand the salt air. 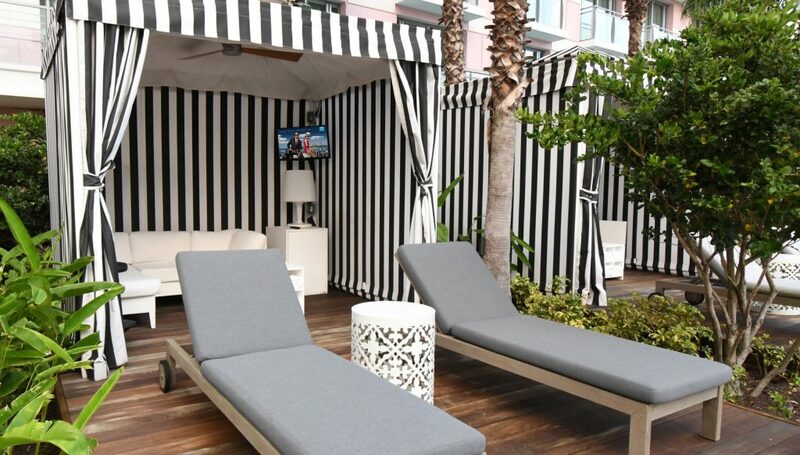 In the pool cabanas, guests can connect to the sound systems wirelessly, allowing them to listen to their own music from their phones, laptops and MP3 players. 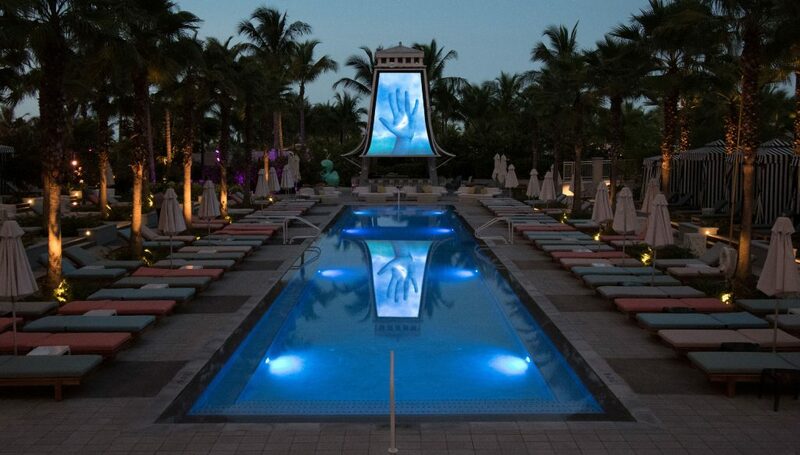 At the Bungalow Pool at the SLS, we designed and installed an automated projection system that plays a stylish, highly-graphic looping video that starts every night right after sunset. 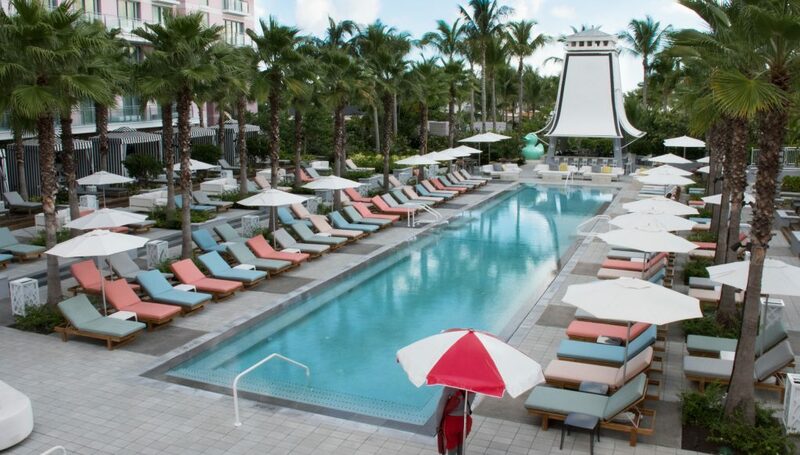 We remotely monitor this and other systems at the resort to make sure they perform properly. 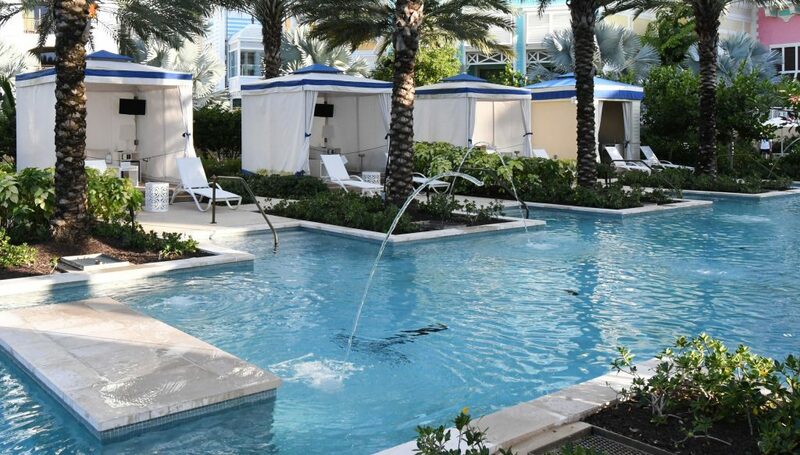 At the Fountains of Baha Mar, we installed all of the audio, video and show control systems, including a spectacular lighting and projection system that projects moving video images on the water of the fountains. 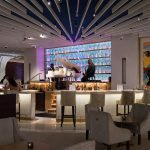 In other public areas, we automated lighting levels using Lutron commercial lighting controls, and audio volumes and playlists with Crestron systems.